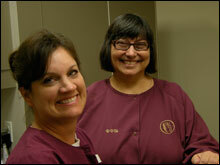 Comfort and convenience are the hallmarks of Heartland Dental Group's office operations. To ensure your convenience, below is the information you need about our hours, location, appointment scheduling, insurance acceptance and billing. As a courtesy to our patients we will file your insurance claims for you. We accept most traditional insurance plans. 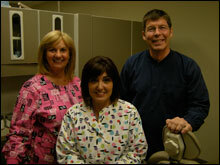 We are contracted providers for Delta Dental, Cigna, and Guardian. We do not participate in Dental Health Maintenance Organizations or discount plans. Please feel free to contact our office to verify acceptance of you plan or answer questions regarding your insurance benefits. We are happy to submit the claims necessary to see that you receive the full benefits of your coverage, however, we cannot guarantee any estimated coverage. Because the insurance policy is an agreement between you and the insurance company, we ask that all patients be directly responsible for all charges. Please know that we will do everything possible to see that you receive the full benefits of your policy. If for some reason your insurance company has not paid their portion within a reasonable amount of time, you are responsible for payment at that time. State of the art sterilization system for you safety.